B2B vs B2C Social Media Strategy. 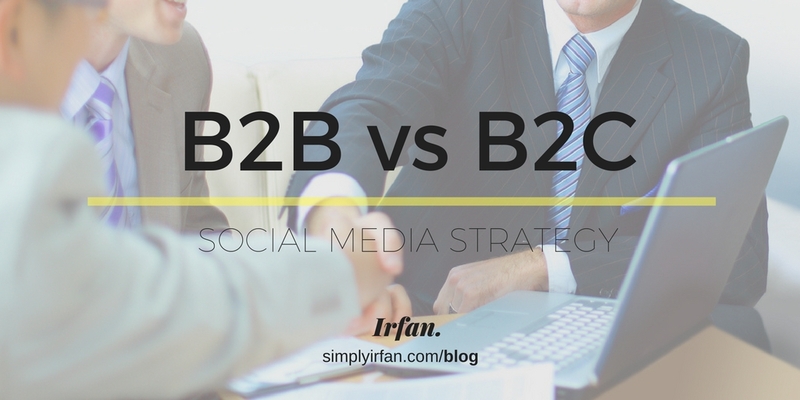 B2B vs B2C Social Media Strategy: B2B is about Growth of Business Relationships. B2C is about Growth of Human Relationships. B2B: Companies of a particular segment or category (E.g. IT companies Product information should be detailed enough to meet business requirements. (E.g. JIRA which is used as ticketing system in IT companies) B2C: Consumer acquisition is very high. B2B: Campaign should be created with a core thought that for example, this is the best product available that needs your business requirement and which will help your business grow. B2C: Campaign should be created with a core thought that this is the best product which fulfils consumer desire. Videos: 2017 is the year of video content on social media platforms. Video graphics is the new replacement for infographics. Informative Videos about the products or services offered by the company. The more detailed specific content will attract more audience. 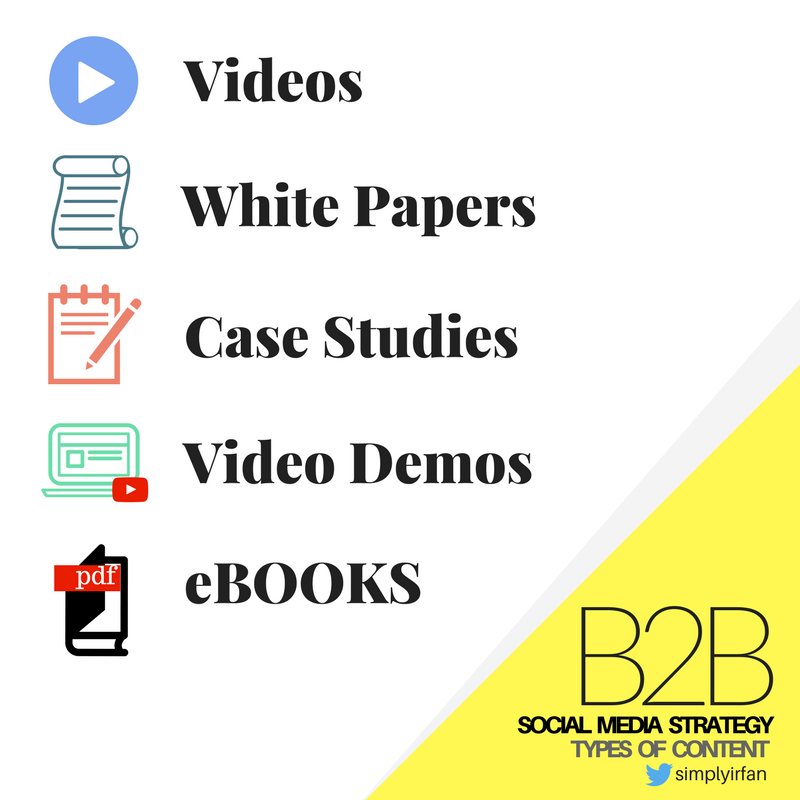 White Papers: Highly detailed informative content will enable transparency between B2B target audience. Video Demos: It is highly recommended to post tutorials or demos video of a product or services offered by a company on every available social media platforms. Enabling the understanding among the B2B audience on social media. Video demos attract consumers as well not only the business audience. Ebooks: Old school yet very effective. A piece of detailed information is what B2B audience want. I was looking for this only. Great post! I have been browsing on-line Moe than 3 hours nowadays, yet I by no means found any interesting article like yours. It’s beautiful worth enough for me. Personally, if all site owners and bloggers made good content as you did, the need might be a lot more useful tan eve before. I am extremely impressed with your writing skills and also the layout on your blog. Is this a paid theme or did you modify it yourself? Anyway keep up the excellent quality writing, it is rare to see a nice blog like this one nowadays.